We were consumed only in the throws of excitement of organising a party for our friends, and as it was our first foray into the working world, remained naive to the stark inequalities of the world we live in. The team at Noisily is comprised of a number of exceptional women and men who all work well together, sharing in the common goal of what Noisily is, and what it represents; friendship, equality, love, passion, nature and community. The first iteration of our 2018 lineup, however, is a failure on one of those key values; there are an extremely small number of women DJs on it. 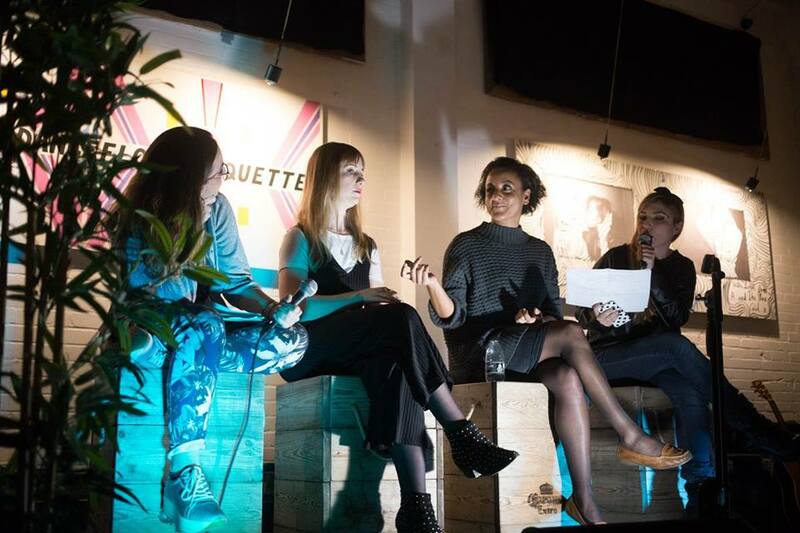 Being a very public facing element of our event and knowing that we are in a position of cultural influence, we have a responsibility to own up and acknowledge our fuckup. Mea culpa. 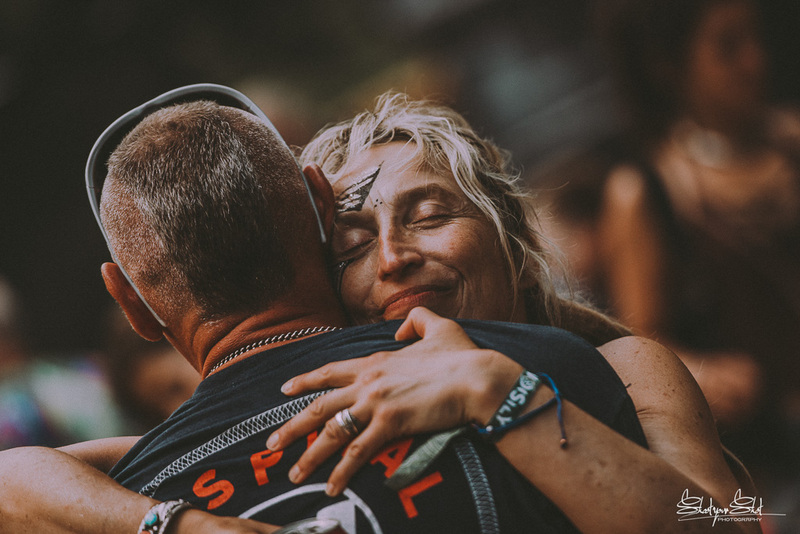 Noisily is split evenly across genders; our production team, our Mind Body and Soul contributors, our catering staff and wider Noisily community. It does however exclude our site workers because archaic attitudes about physicality, femininity and gender roles in the workplace, makes female labourers far harder to come by. But we’re not here for excuses, we just need and want to do better. Gender inequality is at the forefront of global politics, whilst the women of Hollywood are marching for equal pay. The #metoo movement has drawn attention to the shocking level of assault women face globally, and the leader of the “free world” is extensively documented as a prolific misogynist and womaniser. It is a sad fact that the vast majority of men, and women, are brought up in families and societies which lead them to believe that the current state of affairs is normal, natural and fair. A man born in today’s world is immediately in a position of increased opportunity, and if women are to succeed in the same professional working environments they are often expected to display more historically masculine traits such as aggression, dominance and a lack of sensitivity or vulnerability. However the time has come to realign our own values and actions, shifting the collective consciousness, and in doing so exorcise the world of the ideology that has led us to a place where some women may feel they are unable to contribute physically or practically in the workplace, due to the social and patriarchal constructs we have all been raised in and unintentionally propagate. After receiving a message to our Noisily Twitter Page from Psychedelic Historian James Pugh, questioning the male heavy line up release, we got in touch to ask for his take on gender equality in the festival industry. He kindly introduced us to someone who could provide insight on the topic. Maia Snow is a PhD candidate in Women’s and Gender Studies at the University of Warwick, who has provided a fascinating view of the topic based on her education and experience of feminist thought and politics. It is also important to recognise that men are not the enemy, rather the social and cultural nurture that Snow cites is the element that needs to shift dramatically. It’s clearly a very important aspect of the whole struggle against gender injustice that men are able to work on new, healthier expressions of masculinity as they are constrained and damaged by the current system too. Being told to “be a man” is a heavily loaded statement, a powerful shame amplifier, when the last thing males need is more degradation for not making the grade or living up to expectations. Both Masters and Snow’s beliefs align in the idea that whilst we need to celebrate our differences, to shift the gender imbalance in society that both men and women would be more equally empowered if those important aspects of femininity were adopted by more men as character traits. If they can acknowledge and come to terms with that when it’s pointed out to them, and realign their own values and actions towards fighting this injustice, then we stand a far greater chance of changing the makeup of our society. It’s important to emphasise here that men adopting more ‘feminine’ traits in this way must also make a firm commitment to recognising sexism, misogyny and gender inequality. Beyond that, whilst these traits have certainly been traditionally discouraged in them as men, resulting in an unhealthy and constraining experience of ‘being a man’, for women the consequences of society’s devaluation and fear of ‘femininity’ is much more serious (i.e. less opportunity, less political/social/cultural power, and the constant risk of sexual harassment and violence). Since they supposedly embody ‘femininity’, this recognition also needs to be followed by action – speaking out against these systems and aligning oneself with the struggle against them. As Edmund Burke once said, “The only thing necessary for the triumph of evil is for good men to do nothing”. As a man writing this article, it is my hope that in sharing the work of Masters that those men reading it may begin cultivating intimacy with the parts of themselves which lay in their shadows. As Snow says, there’s no point highlighting the problems if you’re not going to discuss possible solutions, and resolving the gender inequality in our society is the responsibility of every human. So back to our line up and the responsibility we have to step away from passive concern, and into our role as a cultural influencer hoping to effect positive change. The first step is to acknowledge our collective failure to book more female talent for 2018’s festival. To make excuses or circumvent the topic would make us no better than the uninspiring politicians you see dodging enquiries on question time, and we want to move forwards. 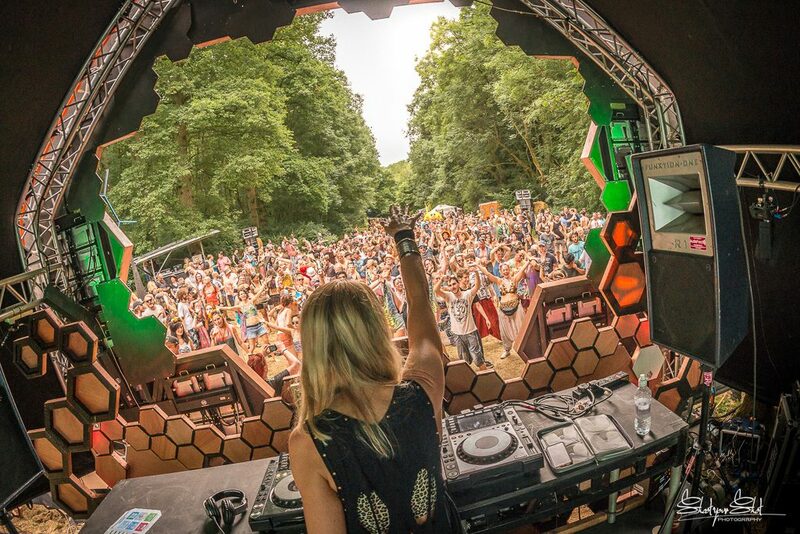 Since our line up release we have researched and added over 200 female DJ’s to our database, and have committed to fairly representing all genders across all stages in 2019, and booking enquiries have already begun ahead of this year’s event. One thing we noticed whilst researching and reading the stories of these accomplished female artists, is just how much harder they have had to work to gain recognition. An insightful study, passed onto us by Snow, entitled ‘Stuck Between a Gimmick and a Token: Female DJ’s Negotiate Binaries’ written by Maren Hancock, a PhD candidate from York University, and also a DJ, provides a detailed look at how difficult it is to be taken seriously as a female DJ. It focuses on how professional female DJs in North America are often considered to be tokens or gimmicks, both within DJ culture specifically, and the imaginary in general. Taking an interdisciplinary feminist approach from the insider perspective of a professional DJ in order to demonstrate how female DJs can provide popular culture with more positive and multi-faceted representations of women and technology. It also gives a glimpse into the very different ways that women negotiate their identities as DJs. 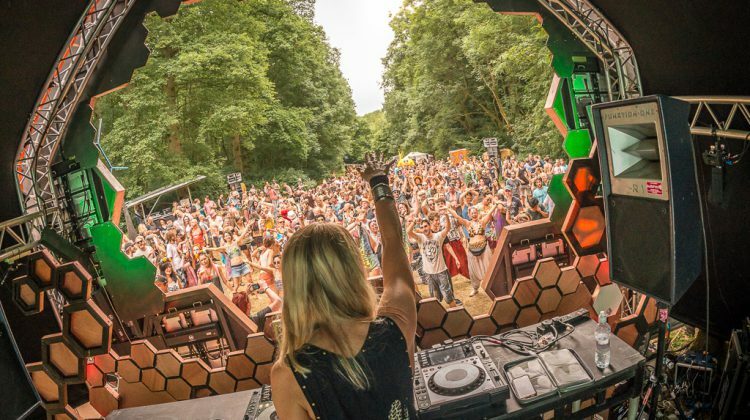 This year we have a new stage at Noisily, The Parliament of Funk, and we’ve been working alongside our friend Lucid Stannard (Noisily 2017) who has been hugely successful in her positive representation of female DJs. As one of the showcases her all female collective Womb 2 will be coming to the festival, not as a gimmick or display of tokenism, but as the first step of a new and conscious campaign to promote genuine gender equality at Noisily. Whilst we are really happy to be releasing an updated lineup with a more even gender balance, we must stress that the inclusion of female-identifying artists on our main stages in headline slots will be a priority moving forwards. We do not want to install an implicit judgement of inferiority, or imply the feeling that women’s artistic contributions are a separate concern by splitting them up, however in this instance Womb 2 are a female collective who play together. 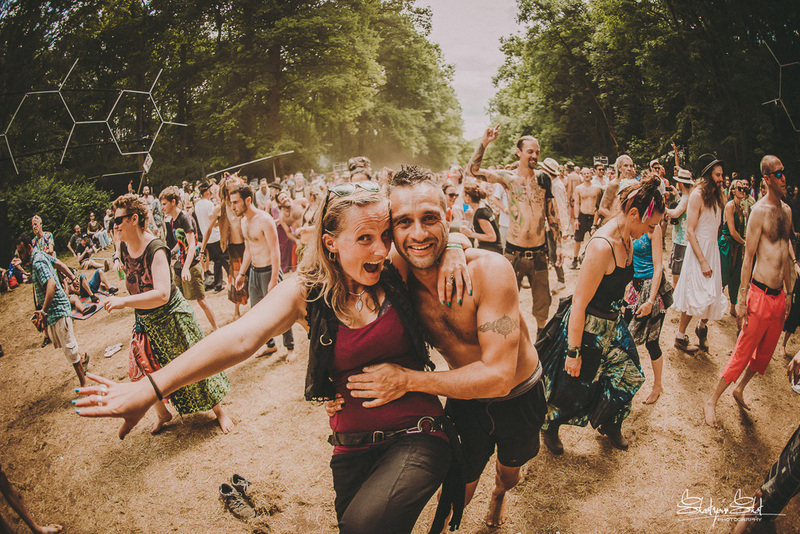 We want Noisily to be a crucible for change, and are committed to setting an example for others to follow in years to come, working in line with our values of friendship, love, passion, nature, community and equality. To buy To Be A Man, head to the Amazon here.